Many large insurance and financial services companies prefer a comprehensive email encryption and secure data delivery solution they can brand, implement and self-manage across their corporation for all employees – and even extend as a service to their licensed agencies. Whether deployed in their own datacenters, or as a dedicated, managed instance in the cloud – maintaining control over their configuration, data and users is paramount. These organizations, with deep information system roots and legacy systems, often start with support for users in email environments such as Lotus Notes, but demand a seamless migration path to today’s cloud-based productivity suites and email services such as Microsoft Office 365. The DataMotion Platform has been deployed in the datacenters of leading insurance and financial services organizations for over a decade, enabling them complete control of the compliance policy and implementation of their email and file encryption services. 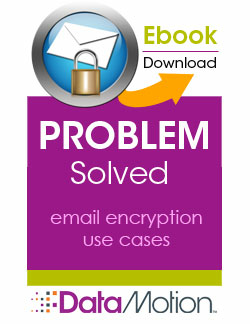 Using standard services of the platform, these organizations can provision email encryption and large file exchange as a desktop resource across their entire employee base, and implement automation for workflows, or policy filtering to prevent data leakage. Over time – the DataMotion Platform has evolved to support the changing security needs of insurance and financial services organizations.